We design highly integrated processors for computers and industrial applications with various levels of performance and functionality. (10 Gb Ethernet). Fast RAM access (and parity-check protected) with DMA channel for each interface transfers data without transit delays using low power budget. 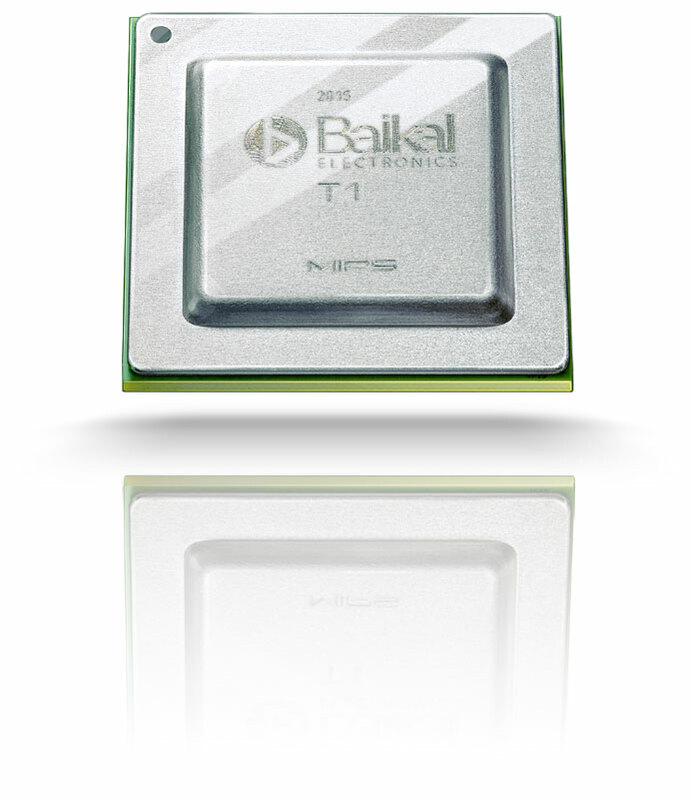 The Baikal-T1-powered devices have an excellent data throughput per every watt consumed. Two cores with up to 1.2 GHz performance are sufficient to shape traffic, security policy control and the real-time data-flow routing. Target devices: broadband routers, POP, network communicators, security gates and VPN concentrators. Quiet environment makes an office a comfortable place. While most of computers tend to be noisy because of fan systems, machines with the Baikal-T1 at heart are quiet and make your office more comfortable and increase performance of employees. The Baikal-T1 has enough power to perform regular office tasks (working with documents, tables, internet browsing, email and alike). Target devices: all-in-ones and thin clients. CAD tools and graphic applications, processing of video and layouts require high performance for workstation both in computations and in graphics. Equally important are a quick access to large parts of RAM and a high-throughput disk subsystem. Target devices: desktops, all-in-ones and notebooks. As more office and home mobile devices take over, of network storage as of a tool for synchronizing data among all devices and the users becomes a key element. Smart TV sets playback HD videos through both Wi-Fi and the Ethernet and demand more network storage space. Office environment demands from network storage devices high-speed reading and writing along with data-safety control. memory support with a parity check control (ECC). Target devices: network-attached storage (NAS). Modern IP cameras not only transmit compressed video but also provide on-board analysis: identifying and recognizing faces, evaluating behavior, tracking of moving objects, camera control and illumination initiated bysensor commands. A processor for such cameras must posess substantial computing capacities especially for vector processing of graphic data. Target devices: video equipment for closed circuits and video surveillance systems. Modern technology requires processing of intensive data flows (such as HD cameras, X-ray controls, multiple high-speed sensors and other similar devices). Control of the equipment requires real time delivery of controlling signals in within guaranteed delay limits. A processor for such applications must ensure operation of high-speed interfaces, and the traffic-prioritized 10 gigabit Ethernet. CAD applications need high-speed input-output ports support in processing data from many programmed logical controllers. SCADA servers and workstations require hardware acceleration to work along with graphics. Hardware acceleration of image processing makes it possible to use a processor for quality control and also for real-time equipment control. Target devices: NC machines, SCADA gates and servers, process CAD, telemetry and handling of traffic.